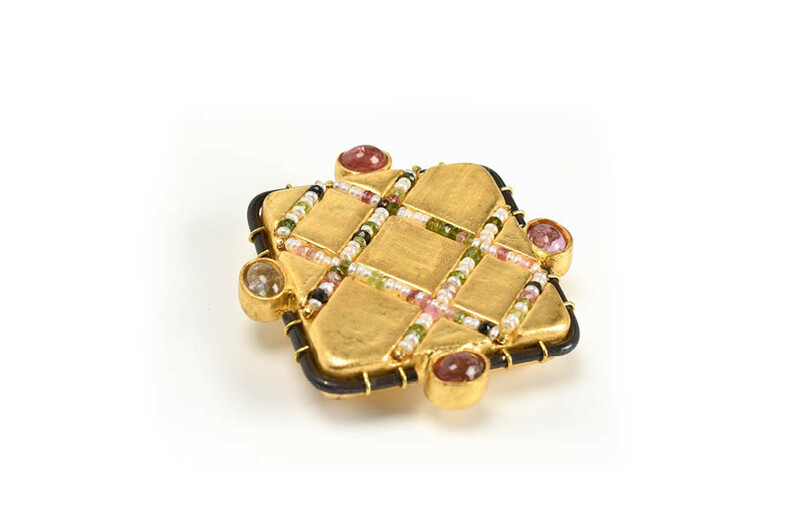 Unique piece of jewellery: Brooch Ithys, 2015. Materials: papier-mâché, gold 18kt, iron, tourmalines, pearls, paper, gold leaf 22 kt. Transient yet eternal. Geometrical shapes of light, entwined on a paper body. Gold and iron, stone and paper: a harmonic marriage of seeming opposites.